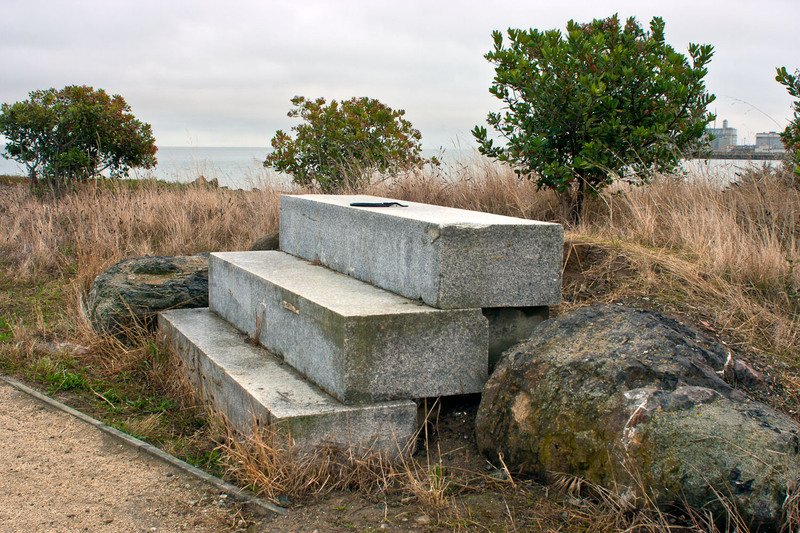 Heron’s Head Park sits near the southeastern edge of San Francisco. You can see downtown’s skyscrapers in the distance, but they truly feel worlds away. 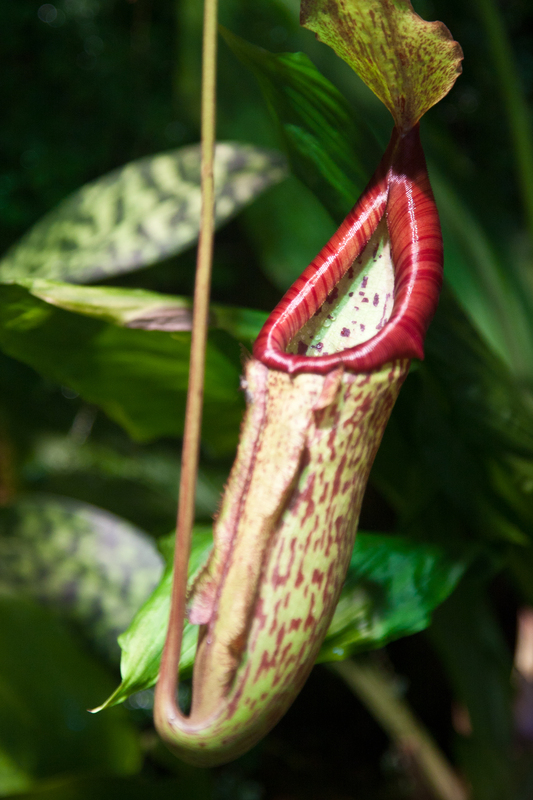 The 24-acre-park is home to salt marshes and a small ecological center with a living roof and sustainable water system. 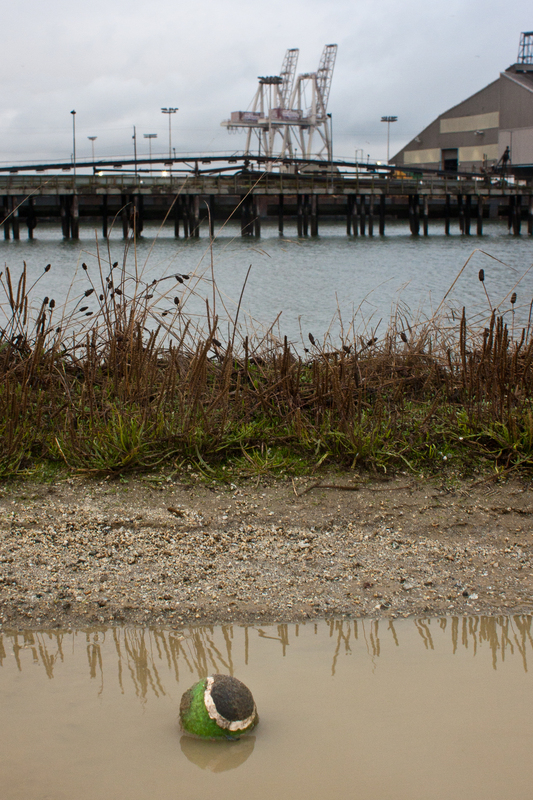 It used to be Pier 89, and remnants of its former life scatter the park grounds. 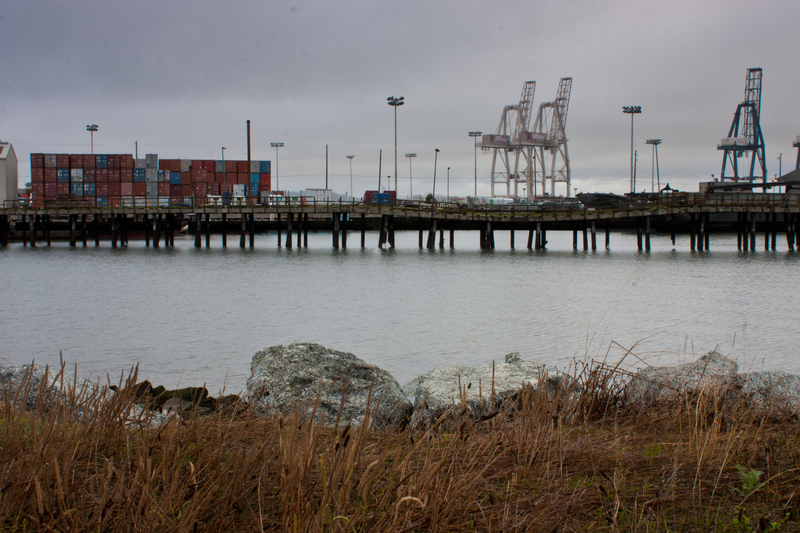 But despite the hulking cranes, stacked box cars and strips of industrial landscape that sandwich it on either side, the Heron’s Head has the fresh smell of California’s coastland. Gulls and ducks and, of course, herons linger in the water. The winding sandy paths feel desolate and beautiful all at once. 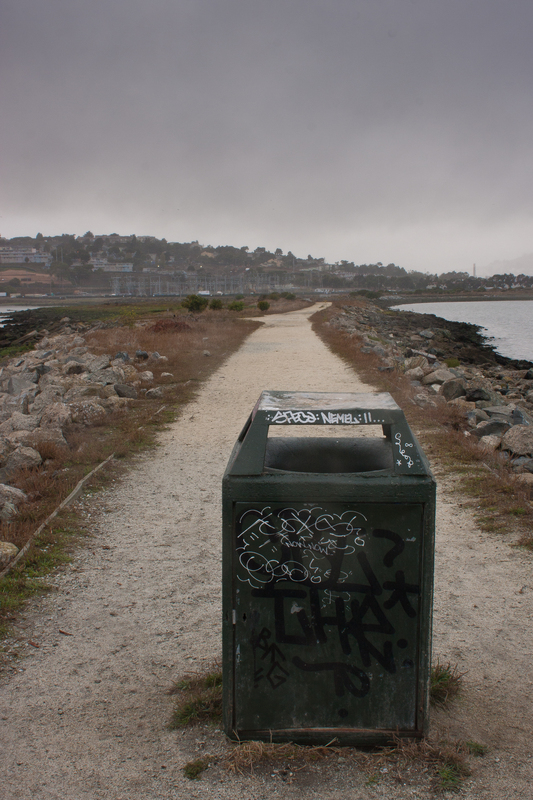 This entry was posted in Nature, Photography, San Francisco and tagged Heron's Head Park, restoration, San Francisco, waterfront. I spent last night skulking around my sleepy neighborhood. Aside from the recycling scavengers, there were few folks on the street. Cars were even rare on busy Dolores. But the views were still perfect on what was a cloudy but clear SF night. A bar and a bustop at the corner of Church and 24th Street. 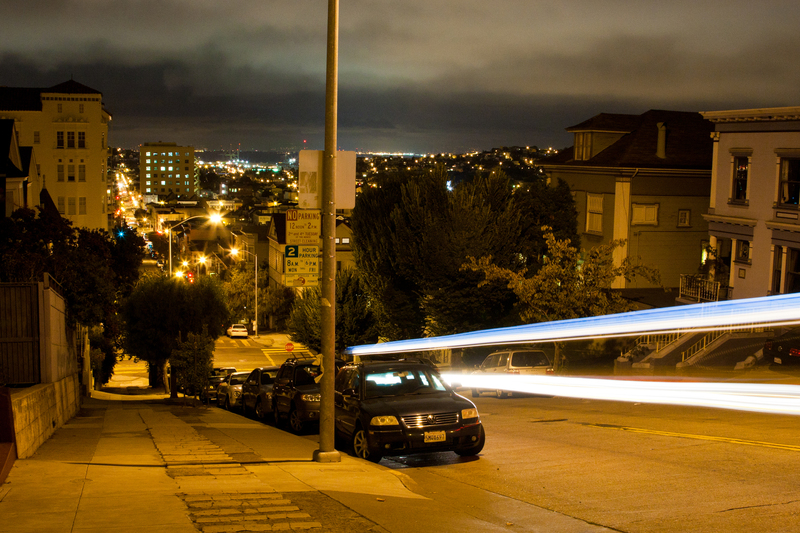 The top of Dolores and 25th streets, looking down, across the Mission District and eventually to the Bay. Is this Miami? 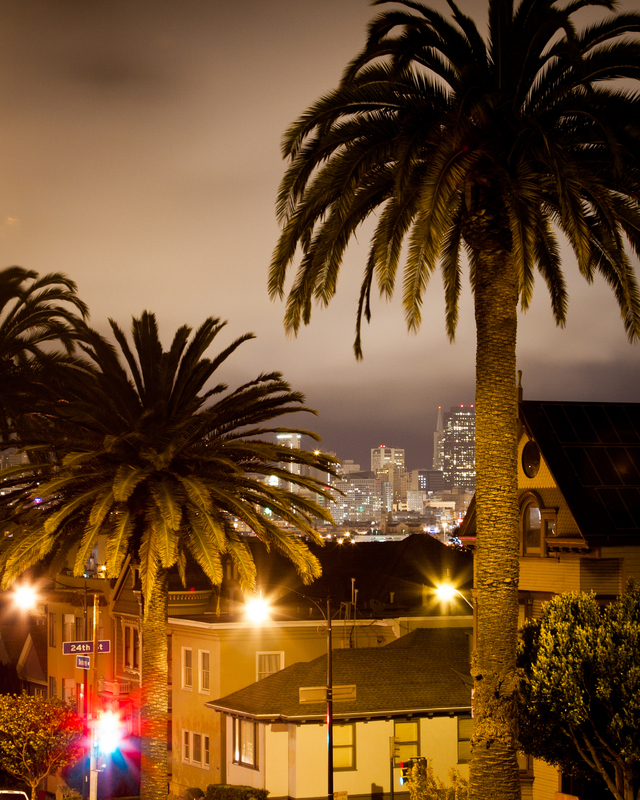 No, just the palm trees lining Dolores Street. Miami would never have all that fog! 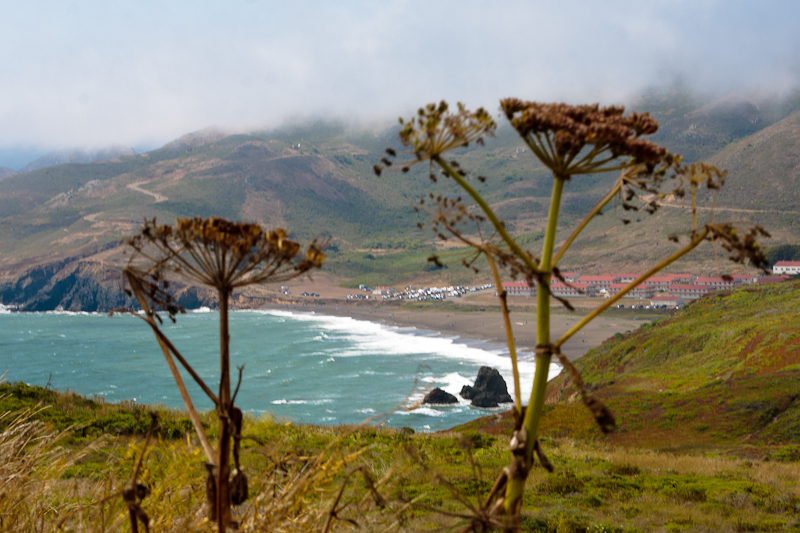 This entry was posted in California, Photography, San Francisco, Uncategorized and tagged Noe Valley, San Francisco. 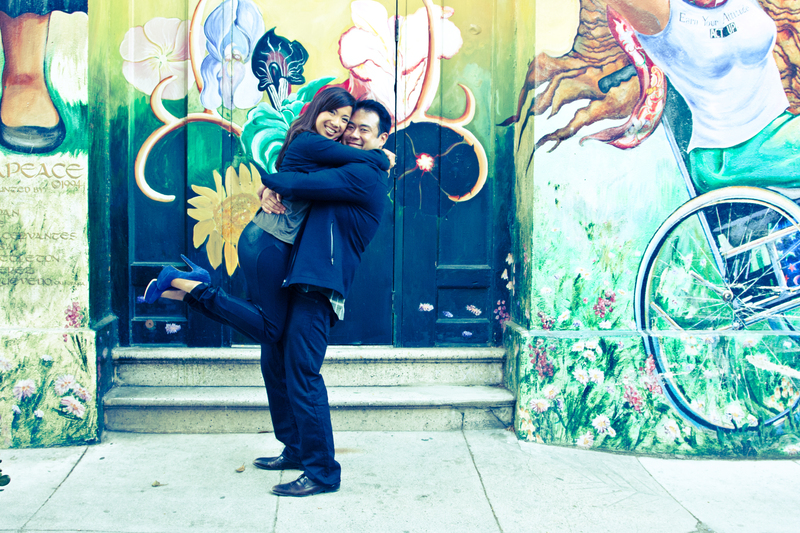 Here are a few from the bride and groom-to-be’s favorites. Such fun shooting good friends. Can’t wait for the wedding! 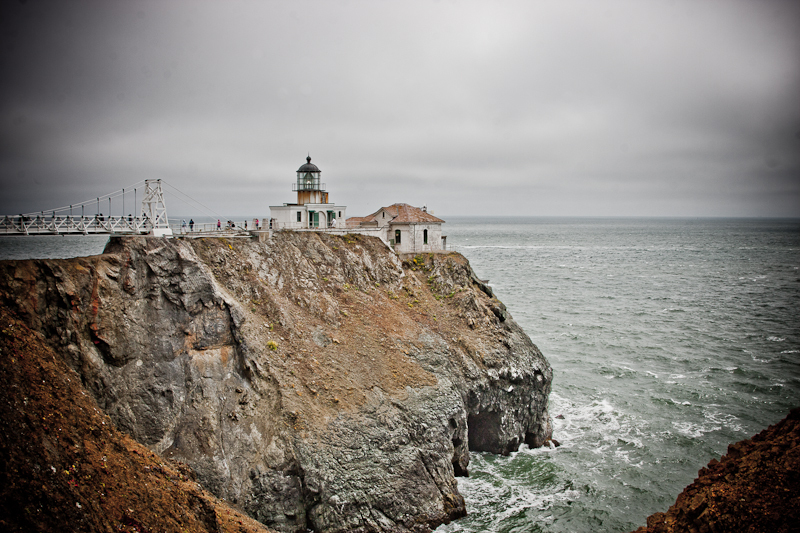 This entry was posted in California, Photography, Portraits, San Francisco and tagged Baker Beach, engagement photos, Golden Gate Bridge, San Francisco, The Mission. 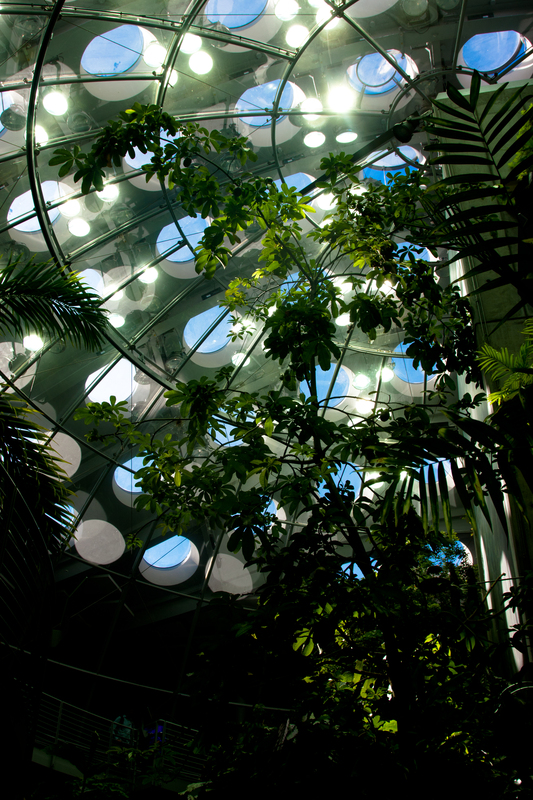 It’s hard to tire of the California Academy of Sciences, even with the throngs of children milling about … I particularly love the rainforest. Tropical weather makes me feel at home. 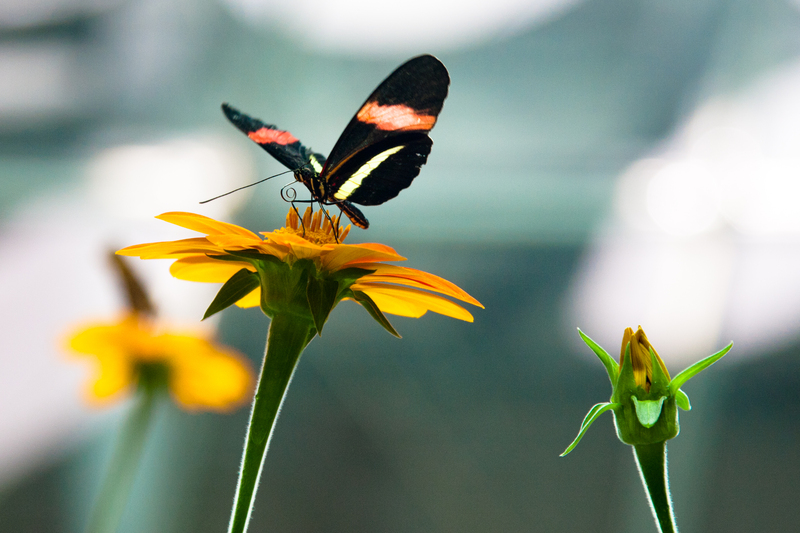 This entry was posted in California, Nature, Photography, Plants, San Francisco and tagged butterfly, California Academy of Sciences, rainforest, San Francisco. 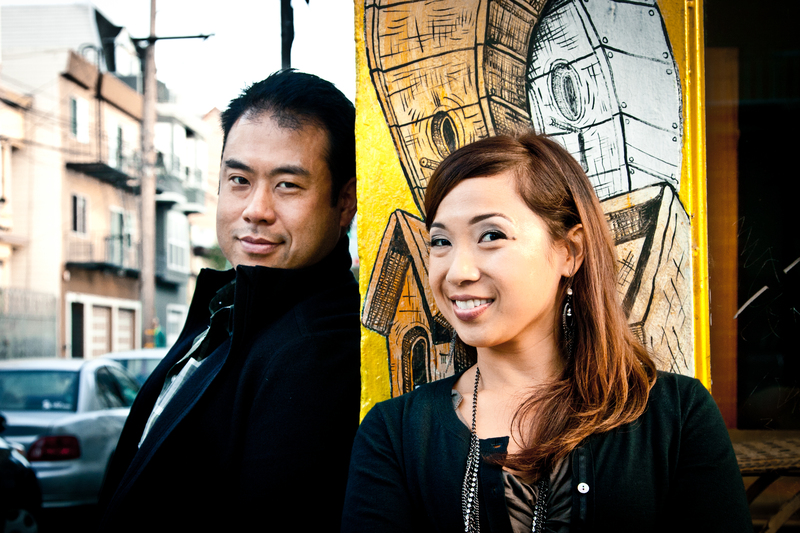 My dear friends Bryan and Ro are getting married this October. 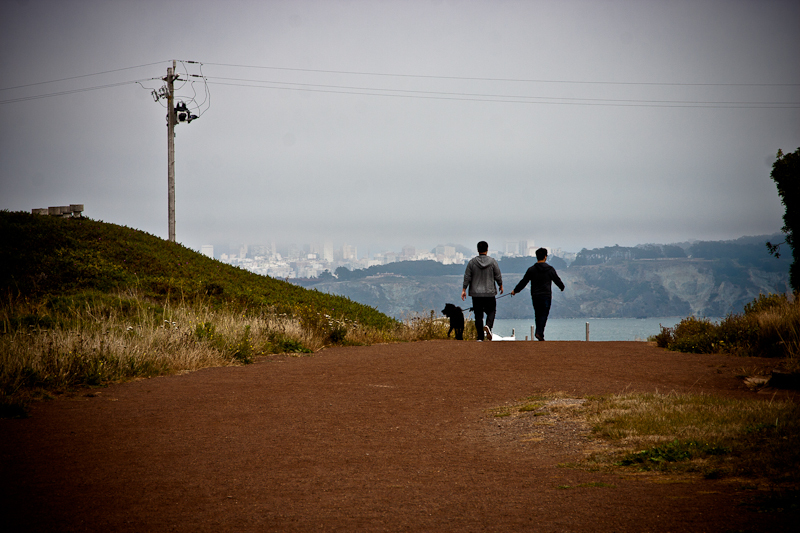 We traipsed around our beloved city to shoot their engagement photos, from the Golden Gate to the Mission. 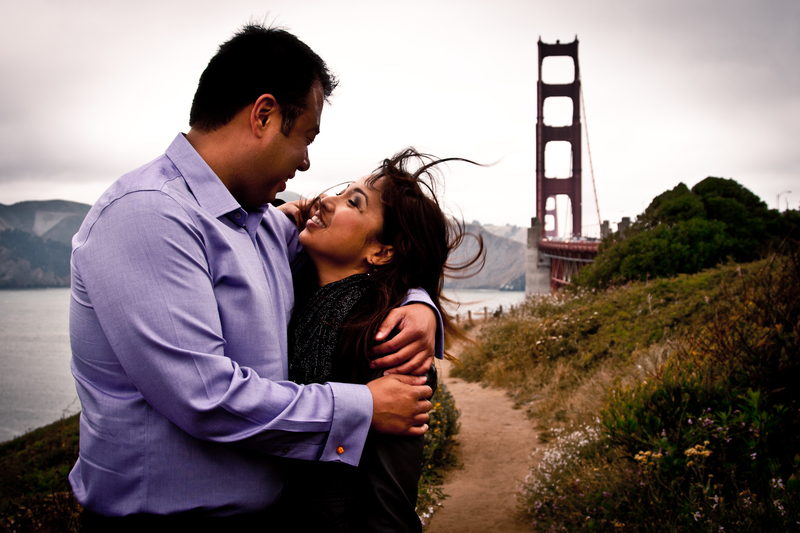 This entry was posted in California, Photography, San Francisco and tagged engagement photos, Golden Gate Bridge, San Francisco. 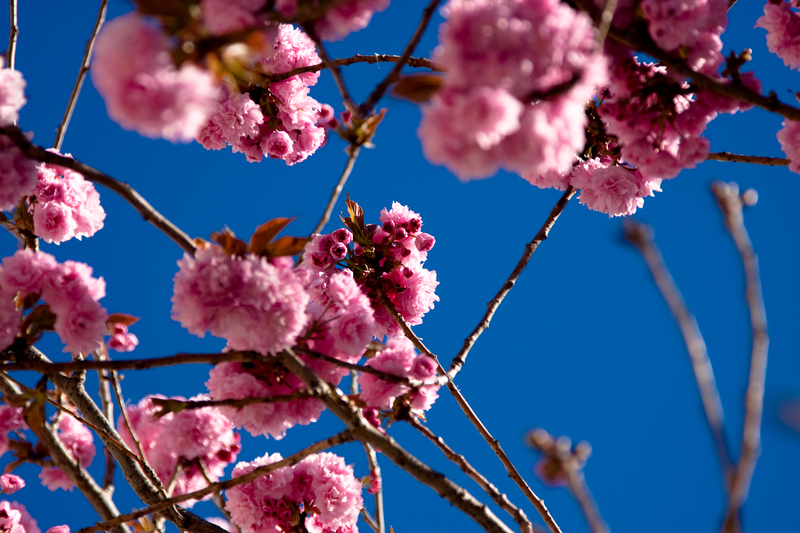 How amazing that, hovering right over our heads on the side of a busy street, spring is making magic? For all the glorious architectural creations of bygone generations and other beautiful manmade wonders, I still think the blooming of a flower is the most amazing thing. Snapped the photo above after taking a walking tour of my neighborhood with SF City Guides. I’ve lived in Noe Valley for less than a year, but I’ve been coming to visit for almost a decade and figured it was time to learn about the truth behind its many charms. You can see more photos from my tour on Flickr. Once again, I am part of a gentrifying sweep, moving an old working-class neighborhood with an appealing low skyline into the ranks of the less affordable. This reminds me of my old Brooklyn neighborhood, Cobble Hill; so do all the cute boutiques, eateries and baby strollers. But … It was great to have my eyes opened to all the architectural details they would normally gloss over. And now I can proudly distinguish a Stick House from a Queen Anne or an Edwardian. One sad note is that Nelly Street was once Orient Street, but they changed the name during World War II. People are silly, aren’t they? But whoever Nelly was, I am sure she was happy to get her own street. 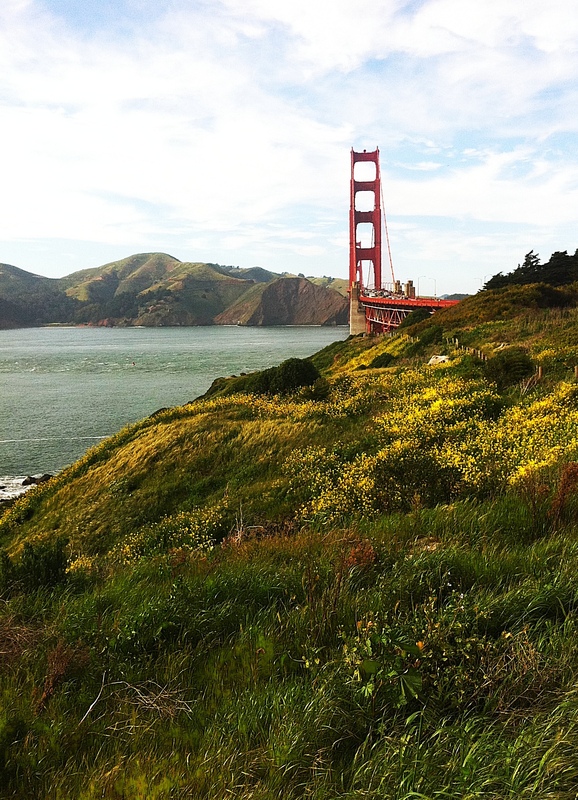 Tours by SF City Guides are free and happening all the time, all around the city (schedule). 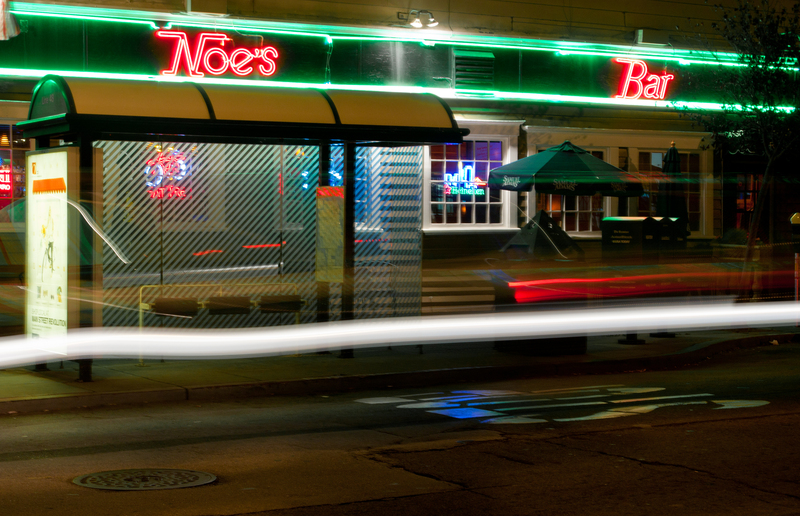 And you can catch the latest buzz about lovely Noe Valley on this fun local blog, noevalleysf.blogspot.com. 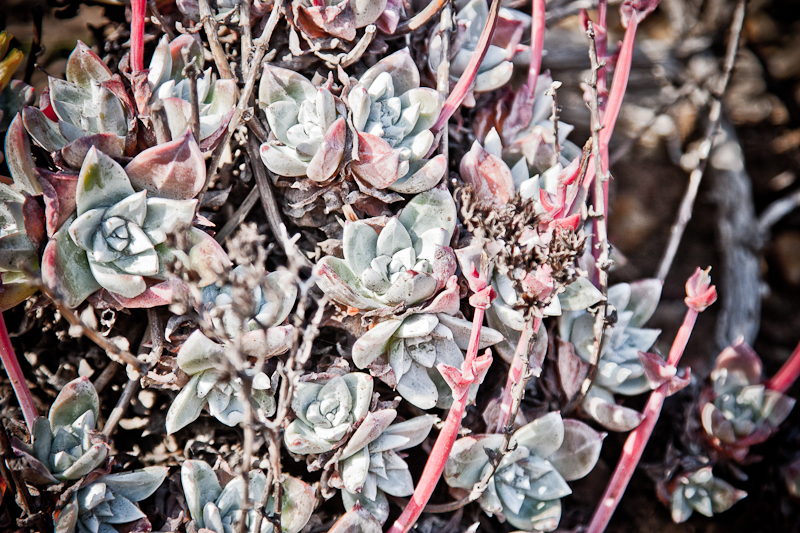 This entry was posted in California, Nature, Photography, Plants, San Francisco and tagged blossoms, Canon 40D, flowers, Noe Valley, San Francisco, spring. 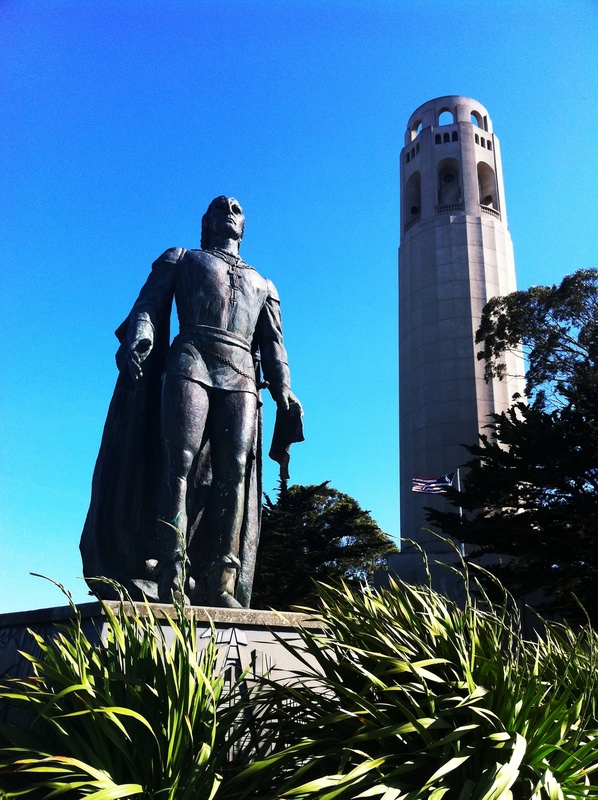 This entry was posted in On the Run, San Francisco and tagged Christopher Columbus statue, Coit Tower, San Francisco, Taken while running, Taken with my iPhone. 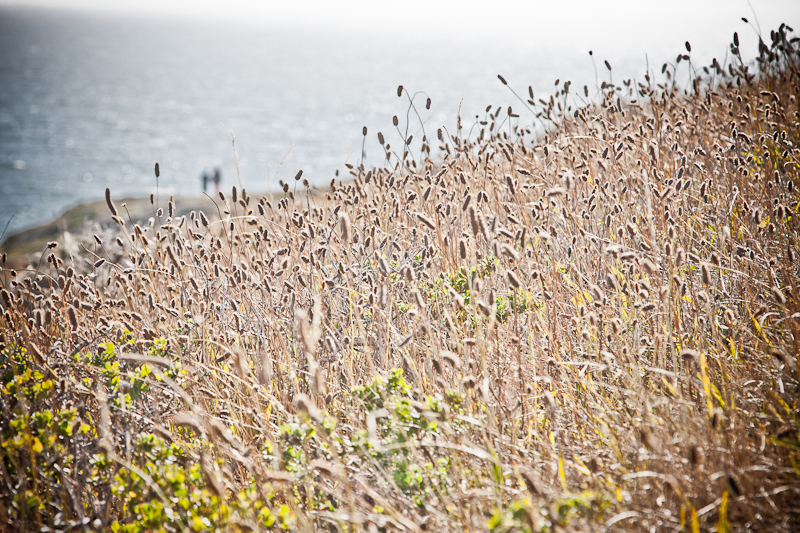 On The Run: Wildflowers spreading all the way down to the sea! This entry was posted in Nature, On the Run, San Francisco and tagged Coastal Trail, Golden Gate Bridge, iPhone, San Francisco, Taken while running, Taken with my iPhone, Wildflowers. 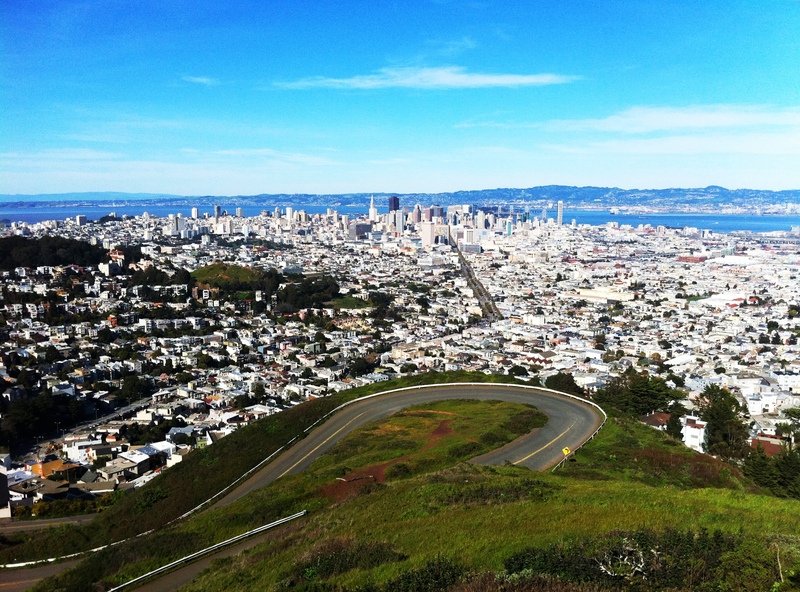 On The Run: The view from Twin Peaks. I like to run up here from my house, which is about two miles straight down! This entry was posted in On the Run, San Francisco and tagged San Francisco, Taken while running, Taken with my iPhone, Twin Peaks.